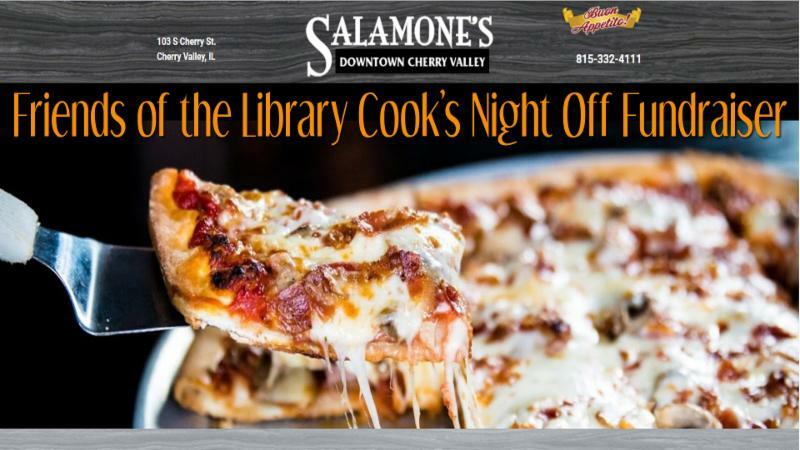 Cherry Valley Library Fundraiser Salamone's Tonight! Tonight! Good for Dine-in or Carry Out! Come to Salamone's Italian Restaurant in downtown Cherry Valley on Tuesday, November 7 from 5:00-8:00pm. During this fundraiser, 20% of the food proceeds will be donated to the library. There will be silent auction items on display in the bar area, so come take a peek. The fundraiser is good for dine-in or carry out meals!